Ithaca is Someone. Ithaca is You. Marta Arnaldi recently defended a thesis on American anthologies of Italian verse. She is also the author of a prize-winning collection of poetry. She reflects here on creative writing and scholarship. 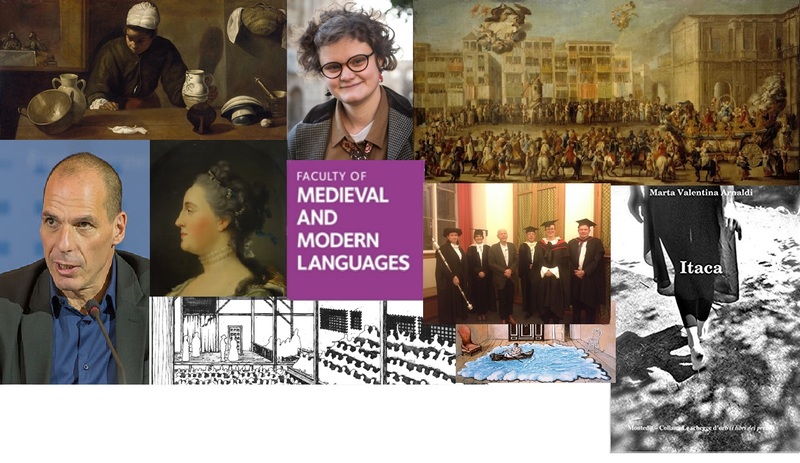 Diana Berruezo-Sánchez holds a three-year early career Leverhulme Fellowship and is a Career Development Fellow in Modern Languages at Balliol who works on Golden Age Spain. Natasha Ryan, the Faculty Outreach Officer, coordinates numerous events across the country. Here is a presentation of two important dates in the calendar for our involvement with local schools. Pierre Michon gave the most recent Zaharoff Lecture. Ann Jefferson, who translated two of his texts as Winter Mythologies and Abbots (Yale University Press, 2014) reflects on the writer and his works.